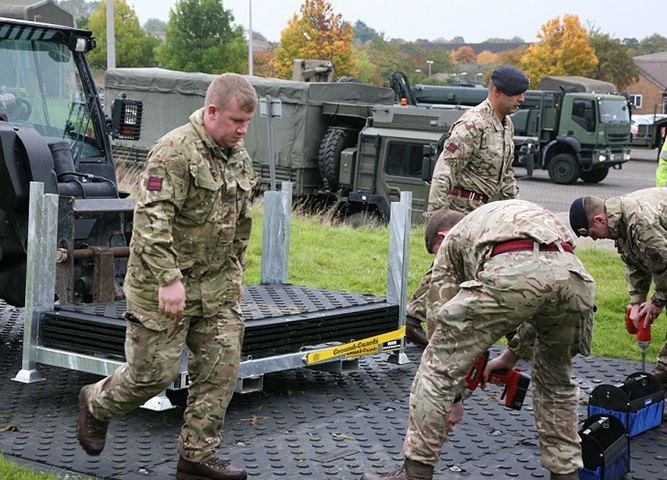 We asked The Royal Engineers at Ripon Barracks to help us test the durability of the MaxiTrack matting system. 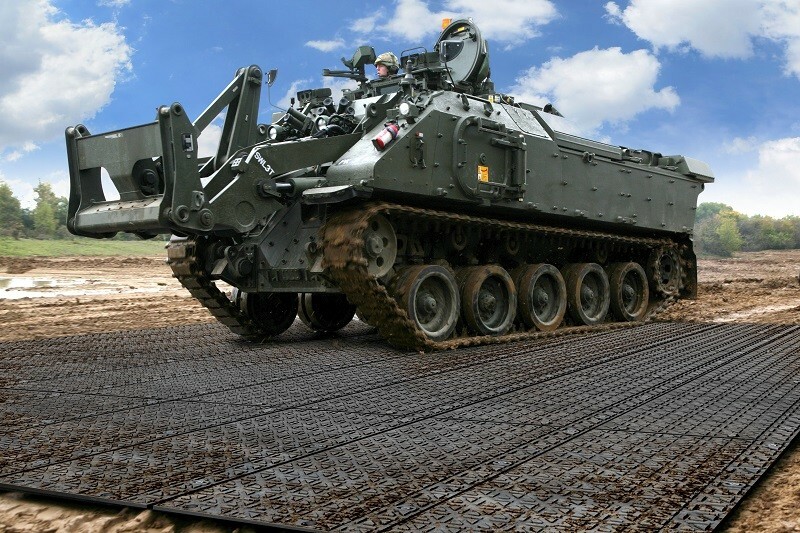 We wanted to know if MaxiTrack could withstand heavy usage from military-grade vehicles, and also to get the Royal Engineers’ view on the MaxiTrack system for its ease and efficiency, and as a means for providing temporary logistics depots, landing pads, operating bases and access routes over rough terrain. 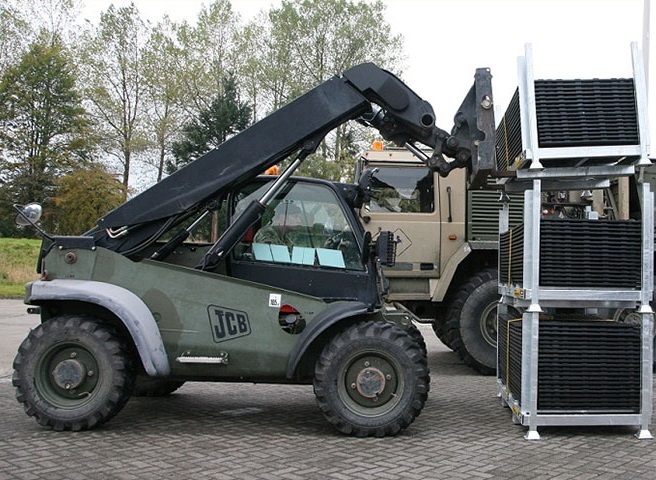 The Royal Engineers team used a JCB Telehandler to unload the MaxiTrack stillages. The mats were then quickly connected to form a large pad area. 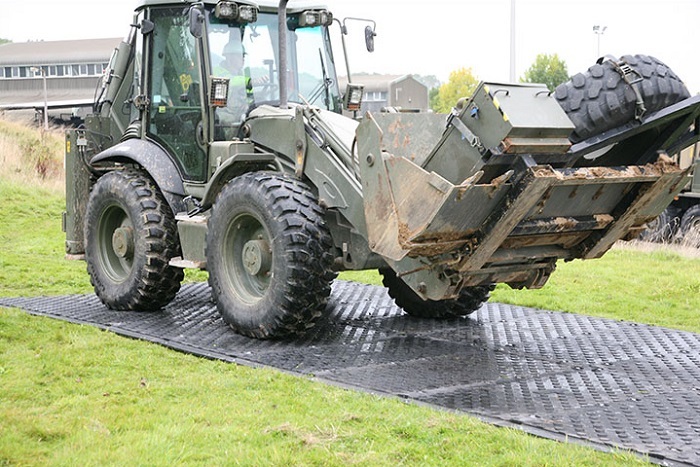 Next came the vehicles – heavy trucks, diggers and an armoured Terrier Tank – driven over the mats to test durability, grip and mud seepage. The Terrier performed a series of twists, turns and slews across the mats at increasing speeds. No damage was caused to the mats or the grassed area underneath. The team were impressed with the speed which the MaxiTrack system was deployed and its durability under pressure.